Tempo AI, the makers of its self-titled smart calendar, is releasing an update to its iOS app that now includes company cards — that is, relevant and contextual information about the organization you are meeting. Through this feature, users can identify who in their personal network works at the company in order to help foster new relationships and business development. With the Company Card, Tempo users can quickly pull up information about that company’s office without needing to necessarily scour the Internet looking for it. It has integrated itself with CrunchBase, Google News, and Yahoo! Finance to maximize the data a user receives. 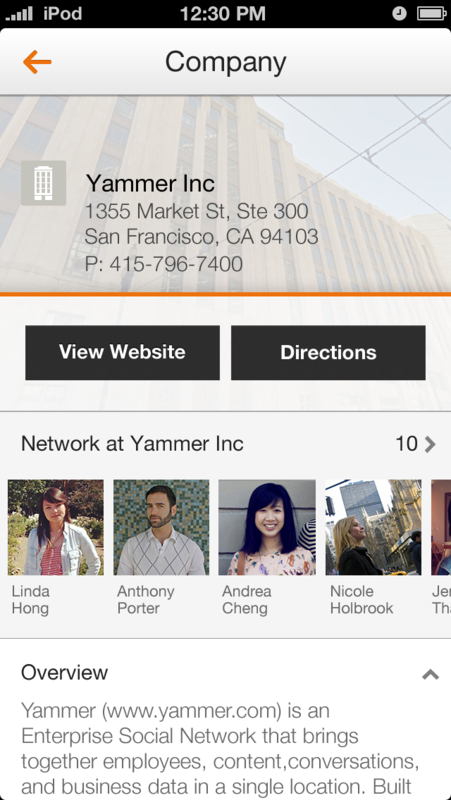 So for example, if I happened to be meeting someone at Yammer, Tempo would pull up information about the company, akin to what you might find on LinkedIn, and then show me my friends or contacts that work there. But if I need to be prepared for my meeting, I might want to know what the company is all about, if it’s been in the news lately, and what other pertinent things I would find useful. With the calendar foundation complete, now we’re ready to surface more assistant experiences, beginning with the Company Card. It’s like having a company dossier prepared for you without jumping through apps, hunting through contacts for the people you know, or searching for the most recent news. In addition to users now being better able to stalk companies, it’s now following the route of Facebook by tacking on birthday actions. That’s right, when you list someone’s birthday in your Tempo calendar, the app will now enable you to send a real gift to them. The company has partnered with Yiftee. 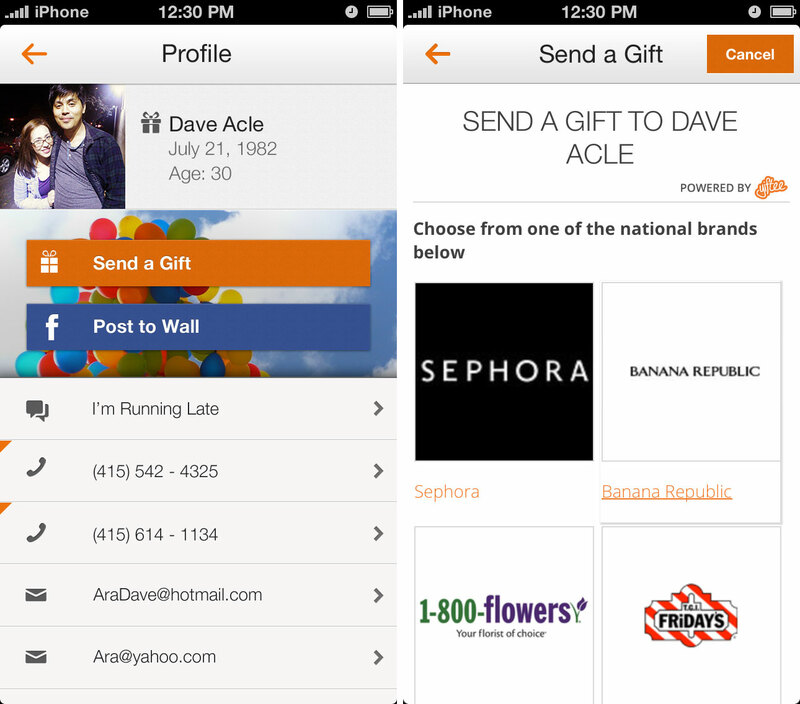 Gifts can be sent from merchants like 1-800-flowers, Banana Republic, Sephora, and others.